Download "1. Admission requirements for the master program"
2 During this period, the online application portal is open ( Your application can only be done in the regular form and within the application period described above. Procedure: 1. Please click on the button "Online Bewerbung" on 2. 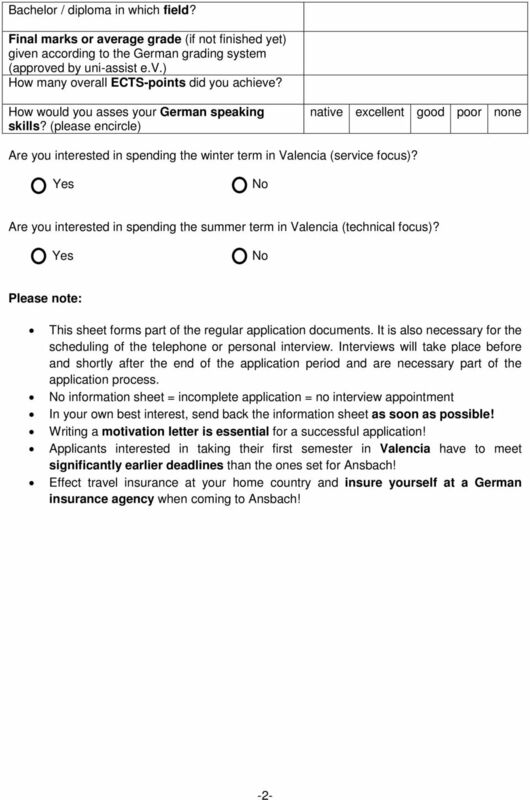 Follow the instructions and choose the study program which you want to apply for. 3. Add all the documents to your application requested on the homepage. 4. 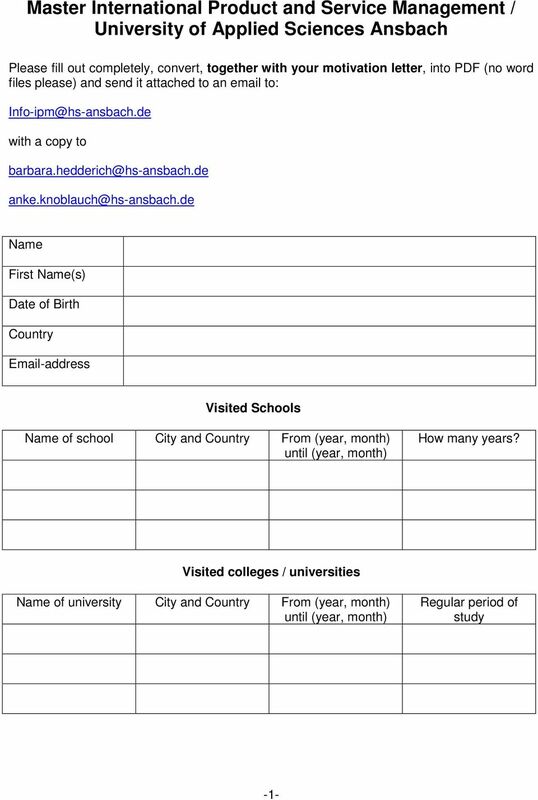 Submit a preliminary documentation of international accounts of uni-assist e.v. 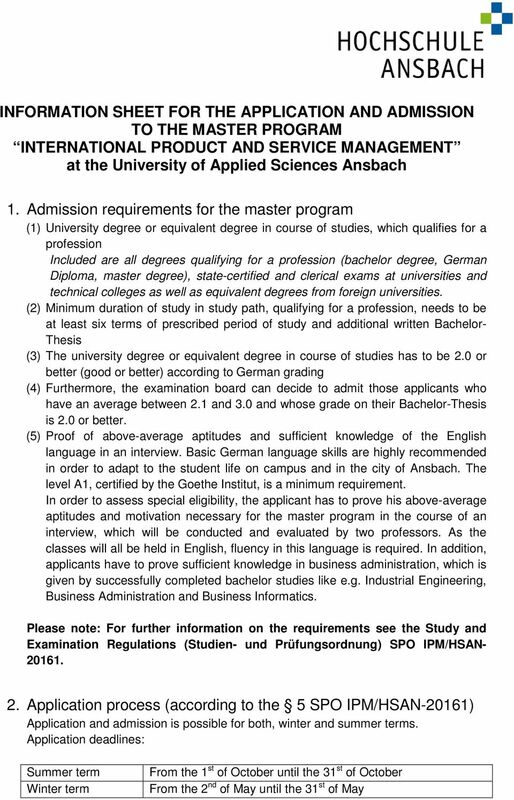 ( in case of a bachelor degree, which was not acquired in Germany. Please note that the review by uni-assist e.v. might take up to 6 weeks! 5. Send your motivation letter and the questionnaire (see document attached) to the following address: with a copy to 6. 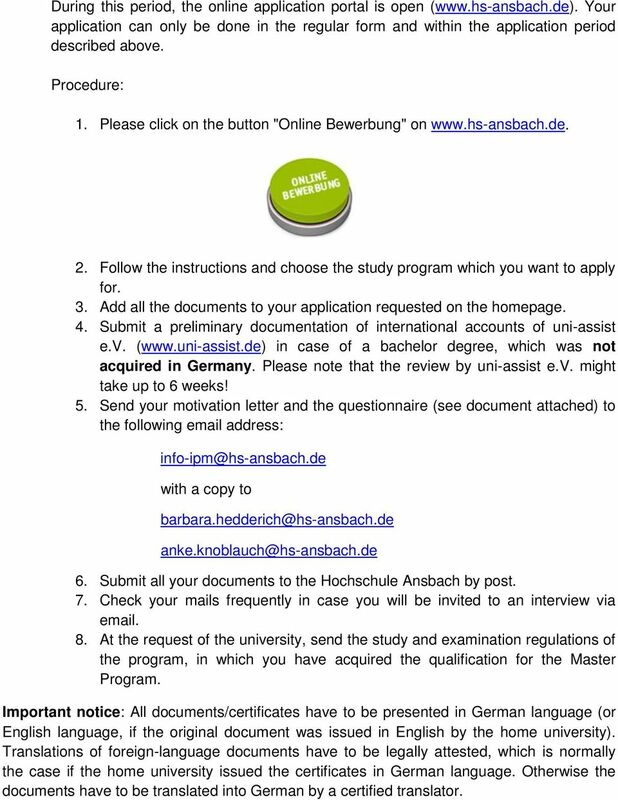 Submit all your documents to the Hochschule Ansbach by post. 7. Check your mails frequently in case you will be invited to an interview via At the request of the university, send the study and examination regulations of the program, in which you have acquired the qualification for the Master Program. 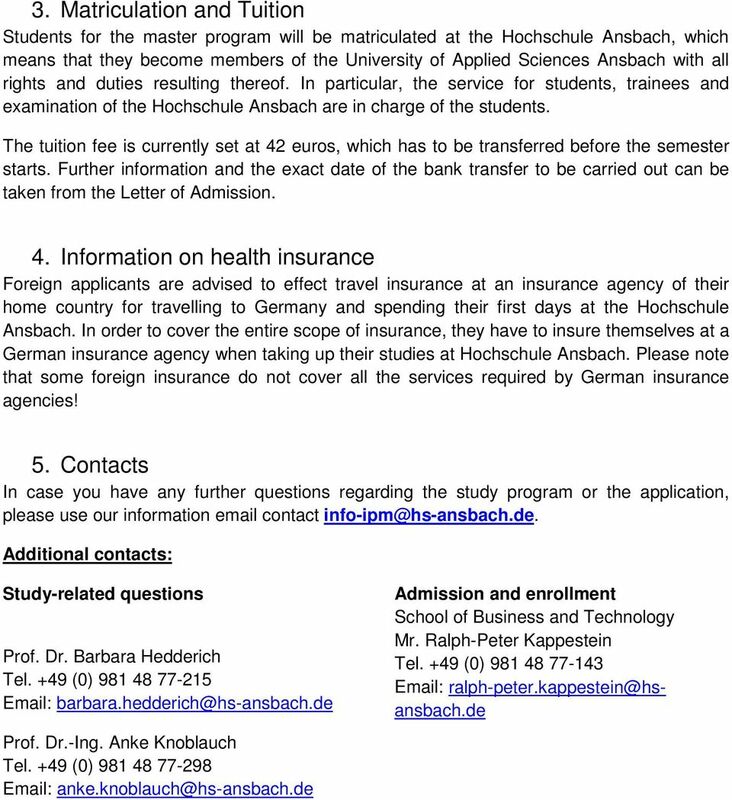 Important notice: All documents/certificates have to be presented in German language (or English language, if the original document was issued in English by the home university). Translations of foreign-language documents have to be legally attested, which is normally the case if the home university issued the certificates in German language. Otherwise the documents have to be translated into German by a certified translator. MASTER S PROGRAMME (M.A.) INTERCULTURAL COMMUNICATION AND COOPERATION Hochschule München Munich University of Applied Sciences Fakultät für Studium Generale und Interdisziplinäre Studien Dachauer Str. The duration of the course is 3 years, starting no earlier than October 1, 2016. The participation is free of charge. Please notice, the university cannot assume transportation costs.